Well, actually, the fire wasn’t quite ready to roast anything at this point. But once it died down a bit, my cousins and I were quick to pull out a big bag of giant marshmallows. When I was growing up, my family spent plenty of summer weekends out at campgrounds. 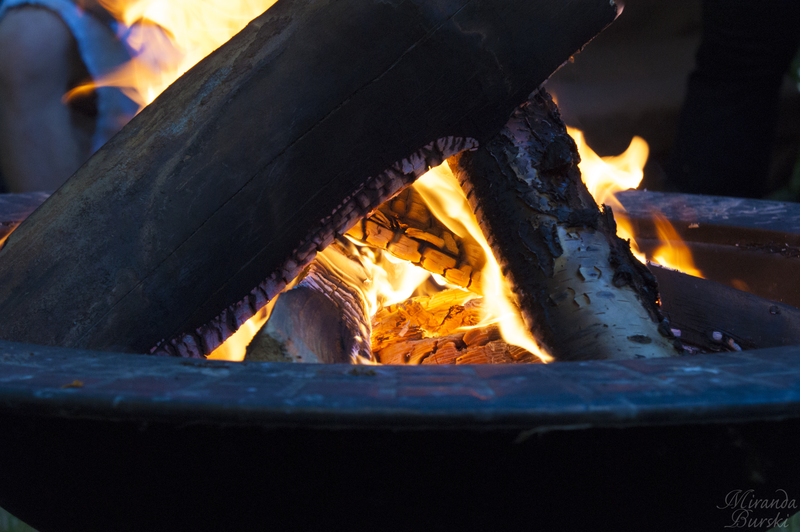 In the evenings, we’d all gather around the fire and wait for the flames to die down, leaving us with embers perfectly suited to roasting marshmallows and hot dogs. Once we got our fill–or once we’d been up late enough–the adults in the group would send us off to bed. Some of the kids would head into tents, while others (myself included) preferred the comfort of a camper. I never did care for sleeping in a tent. It’s been years since I’ve been camping. Sometimes, I really quite miss it. Thanks! The tasted marshmallow was great. It made me want a hot dog, too, though, lol.